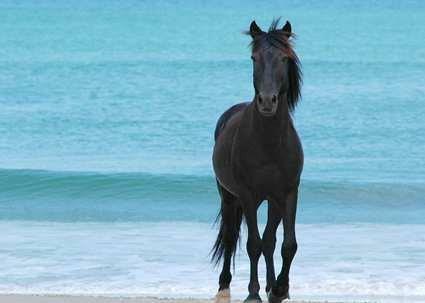 Corolla is an unincorporated community of around 500 year round residents, and is situated within Poplar Branch township of Currituck County N.C. In the summer months, the area attracts thousands of tourists who come to enjoy the natural beauty and attractions the area provides. Corolla is also home to one of the seven North Carolina coastal lighthouses, the Currituck Beach Lighthouse. The town’s name is pronounced “Kor-ralla” as opposed to the Toyota Corolla car, though many visitors use this incorrect pronunciation, while the name itself is derived from the scientific name for the petals of a flower. Corolla was a quiet fishing village, itself built upon the European settlement of Indian hunting lands used by the Chowanoke and Poteskeet tribes. The treacherous coastal conditions for shipping meant that many of the locals also worked in the marine salvage industry. The Currituck Beach Lighthouse construction (completed in 1875) required roads and labor, with many new jobs created around the community which boosted the local economy. Development of Corolla started in the later-1960’s with Virginia investors offering building lots in the early-1970’s. Lots were initially offered for $8,000, but today they are worth in excess of $500,000. 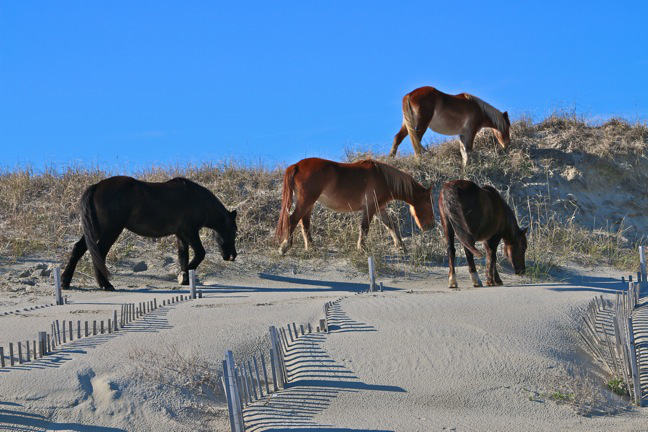 Corolla is also home to over 100 wild Banker horses, descended from Spanish horses believed to have survived shipwrecks, or after having being abandoned by Spanish or British explorers to the area.